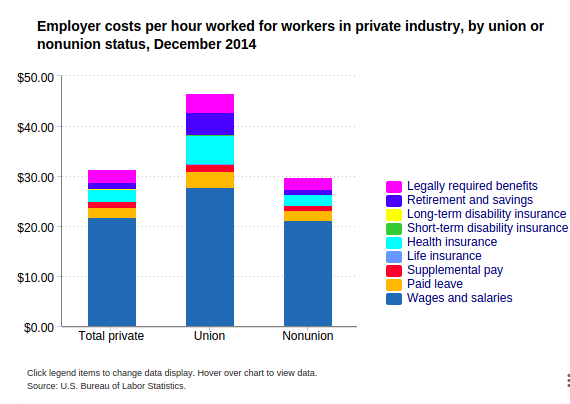 Private industry employers spent an average of $31.32 per hour worked for employee compensation in December 2014. Wages and salaries averaged $21.72 per hour worked and accounted for 69.4 percent of these costs. 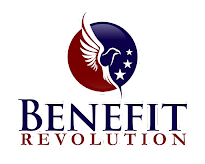 Benefits averaged $9.60 and accounted for the remaining 30.6 percent. Total compensation costs for union workers averaged $46.50 per hour worked in December 2014. The average for nonunion workers was $29.83. Benefits accounted for 40.3 percent of compensation costs for union workers, compared with 29.2 percent for nonunion workers. These data are from the Employment Cost Trends program. For more information, see "Employer Costs for Employee Compensation — December 2014" (HTML) (PDF).